I love this dish, simplicity itself, it has wonderful overlapping flavours and interesting textures that range from silken soft to crunchy. When I was opening the Ramada Hotel at Glenelg, South Australia in 2003, my local became Sumo a small Japanese restaurant on the marina. Blown along the lonely esplanade it was a dish that I often found comfort in. We also sometimes add steamed silken tofu which is also terrific. 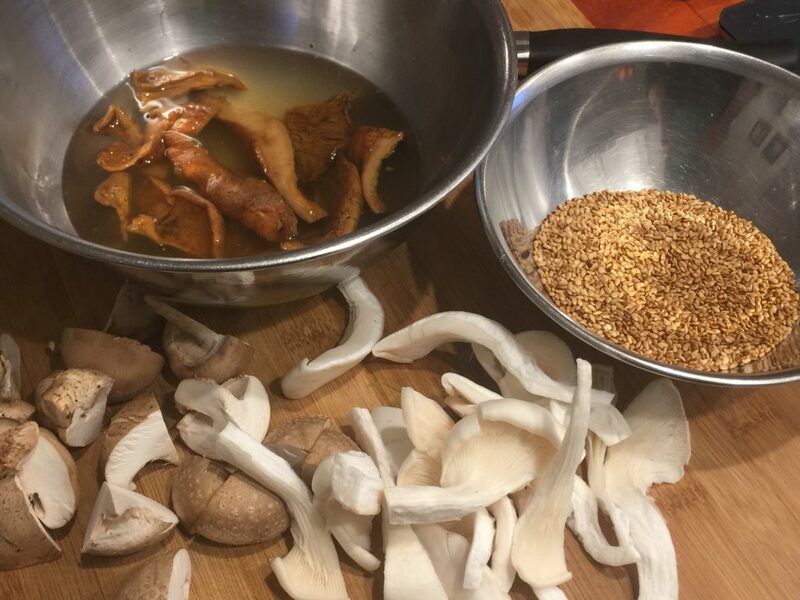 Weigh the dried shitake [or other dried mushroom] into a bowl and then weigh in the hot water, stir around a bit and let them stand for 15 minutes or until they are softened.Sit a sieve over a bowl and tip the mushrooms into the sieve and press hard against them to extract as much liquid as possible. When the liquid has cooled a little whisk in the tapioca flour. 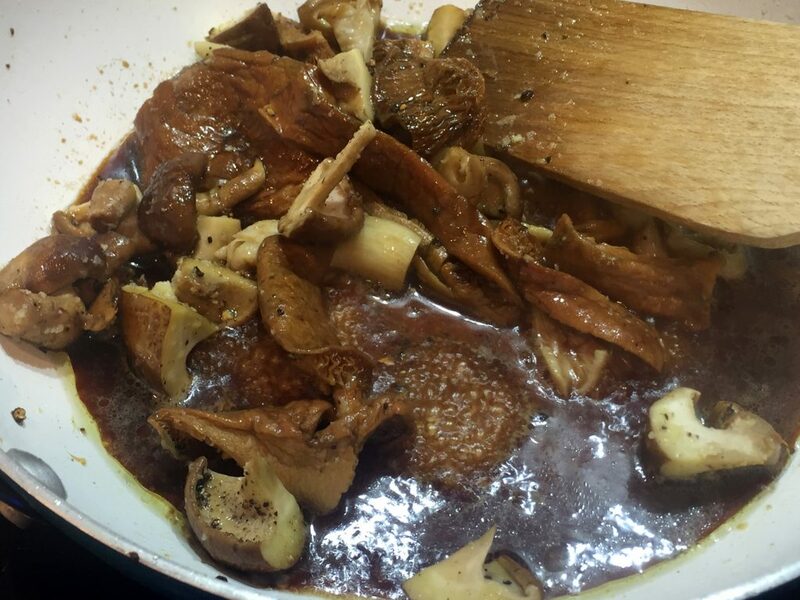 Add the oils to the pan and when they are hot add the mushrooms and cook, tossing over constantly until they are cooked out, then add the ginger/garlic and cook until all rawness has vanished. 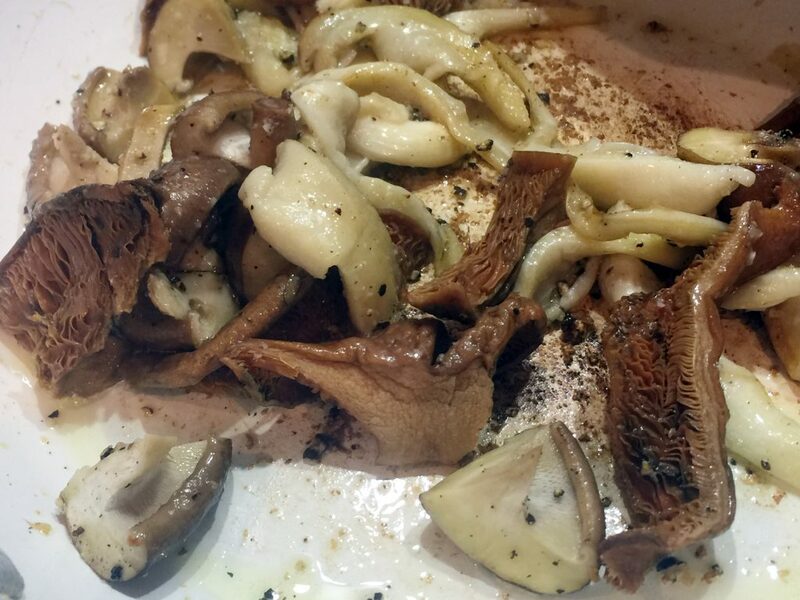 Return the mushroom mass to the heat and when it is gently simmering, stir in the tapioca flour and reserved soaking water and cook until it becomes transparent. You may need to add a small amount of water to maintain the sauce consistency. Stir through the mirin and soy and bring back to the boil. 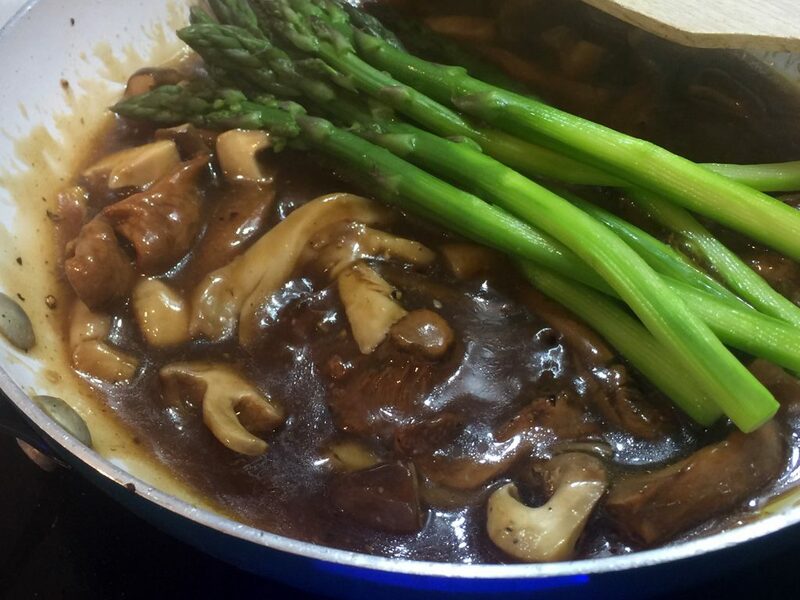 Add the asparagus and toss over…turn off and let sit for 5 minutes before serving garnised with the sesame seeds and oyster sauce. tip we serve this with Japanese short grained rice and add a few slices of lemon to the cooking rice and stir through a little mirin before serving.